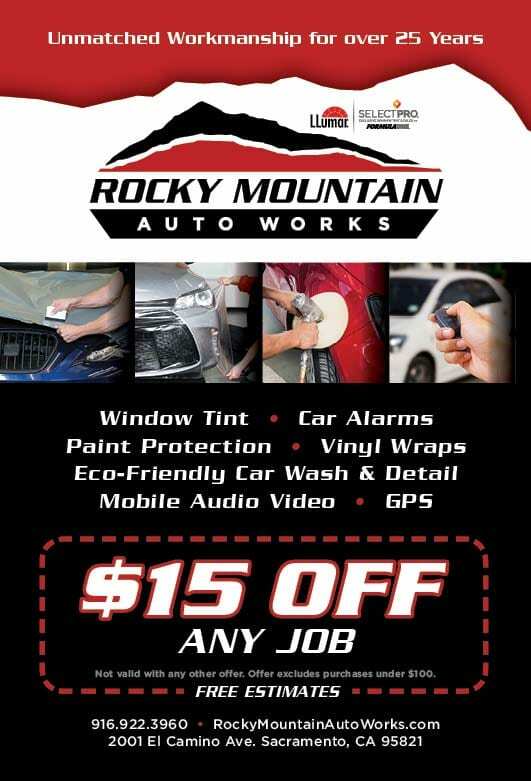 No matter the upgrade, from window tinting and paint protection film to car security and vinyl wraps to car washes and detailing, to mobile entertainment and driving enhancements, Rocky Mountain Auto Works in Sacramento can provide you with a free, reliable quote you can trust for all of our services. We strive to make your quality installation as fast, convenient and affordable as possible – getting you back on the road sooner. We accept all major credit cards and offer gift certificates for any of our services. a $15 discount on us!